This week sees the publication of my novelette “The Clay Farima” in the fab magazine Beneath Ceaseless Skies. I had great fun writing it and I’m really pleased it found such a great home. It is both a blessing and a curse that I generally don’t plan my stories. Starting out as a simple sword and sorcery whodunnit, this one quickly morphed into a journey of internal and external discovery. I honestly didn’t know how it would turn out or what wonders (or horrors) Farima and Mevlish would encounter beyond the Wall. Luckily the scenes mostly wrote themselves. No, I don’t know how that happens. No, it doesn’t happen that often. Oddly enough, during the process of writing it, I found myself thinking of “The Clay Farima” as a pure science fiction story rather than an adventure fantasy tale. Substitute “gravity” for “magic” and suddenly the Wall marks the event horizon of the singularity known as the Source — although that analogy quickly breaks down if you know any real physics. Similarly, the artificially created narrator can be likened to an android or a clone, another familiar SF trope. So it’s really about a sentient robot’s journey to the centre of a supermassive black hole. But without the robot. Or the black hole. Or any of the science. What I really wanted to capture was the elusive “sensawunda” those type of stories can evoke. I hope I succeeded, at least in some measure. If “Farima” seems dense in backstory, part of some larger tale, that’s because it follows an earlier story that detailed the rise and fall of the tempestuous relationship between Mevlish and Kaffryn. Some of the momentum from that original story carried through to “Farima”, and it may well continue into other projects set in the Near and Far Kingdoms. Hopefully “Farima” stands well enough on its own. Another prompt for this story, once it began to brew in my mind, was this image used as part of a writing group challenge. 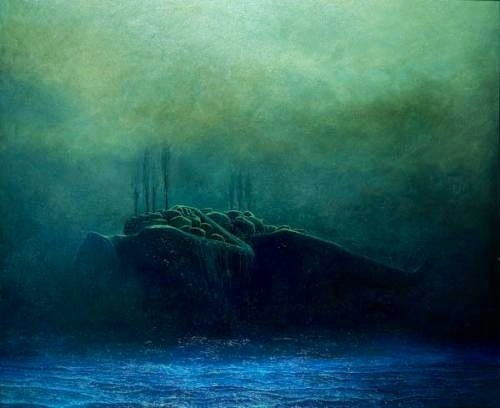 The painting is by the remarkable artist Zdzisław Beksiński, and for those of you who have read “Farima”, the scene inspired by it should be immediately obvious. Your story keeps getting rejected? You think it could be improved, but you’re not quite sure what needs to be tweaked? You want to break into the pro market, but you’re not quite sure what it takes? 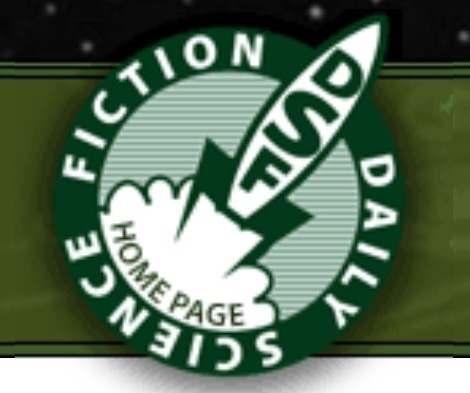 Daily Science Fiction is running a Kickstarter campaign to fund their authors, September 2013 to March 2014. A story critique by yours truly is available as one of their Kickstarter rewards (Update: now gone! But please do check out the other authors still available.). For a story up to 5000 words I’ll do a line-edit and give developmental suggestions and comments. Critiques are available from other DSF authors, too. As well as featuring established authors, DSF has given many new writers their first professional break (including me). All their online content and their weekday e-mail stories are absolutely free of charge to readers, yet they manage to pay their contributors well above minimum pro rates. It’s a Kickstarter cause well worth considering if you’re at all interested in the genre.